HomeBlogWhat Does A Home Warranty Cover? Having a home warranty is perhaps the best means of being assured of protecting your budget as a homeowner. However, what exactly is a home warranty, and what does it cover? Being a homeowner, costly repairs are probably your greatest daily worries. What if you learned that there is a way you could alleviate these fears, bearing in mind that if something breaks, it will be repaired for with a small service fee? Sounds too good to be true. Right? Well, It is true. Home warranties are service contracts that cover replacements of major home appliances and various system components. The intervention of the company comes in when the systems fail, break down or face other problems due to aging. Like other forms of warranties and service contracts, home warranties have their own limitations on coverage provided. Typically, the home warranty does not cover all the modifications and changes in your home. Despite covering most systems and appliances, they have exclusions and limits on certain items. A good example of this situation is where your HVAC system needs to be replaced. In this process, new electrical and structural modifications may be needed to fully accommodate this new unit. Similarly, for a new water heater, changes in inflow and outflow pipes may be unavoidable. In such cases, the home warranty will not cover these changes. On the other hand, the company may place a cover limit on specific appliances. For instance, the company may have a limit for radiant heaters, meaning that the company will only pay up to their limit. This is especially applicable for expensive items. How Does Home Warranty Work? Specific home warranty plans provide for specific types of coverage. However, most operate similarly with common verbiage. Here is an outline of how this entire system works. If a covered appliance or home system breaks or stops working, the homeowner makes a call to the home warranty company reporting the issue. The company calls a service provider with which it has a business arrangement with. The specific provider contacts the homeowner to make an appointment. The provider visits and corrects the problem. If the system or appliance is broke beyond repair, depending on the contract coverage, the warranty company pays for the repair and/or replacement fee. The homeowner is only required to pay a small service call fee for the visit. Unlike what many people perceive, home warranties only cover failed items and not problems resulting from improper maintenance. For a home warranty to take up the claim, the system or appliance should fail from normal wear and tear. Depending on the age of the appliance, various parts may just stop working. Some of the common parts that fail due to common wear and tear include the motor fans and electrical items. Nevertheless, as long as reasonable efforts had been made to maintain these parts and effective working ability of this system, the company will reimburse and cover for any needed repairs or replacements. On the other hand, if the damage is as a result of negligence by the homeowner, the company will not cover for repair and replacement. What Can Cause Denial of Payment? Cases of mechanical failures that existed before the agreement was effective. System or appliance failure not caused by normal wear and tear. For instance, if a raccoon takes up residence in your air conditioning unit. If inspectors find hazardous or toxic chemicals, mold or asbestos in the appliance. Faulty workmanship on the appliances. Calling repair services before consulting the home warranty company for approval of repair or replacement. You should always consult the company first. Changing the use of the property from residential to commercial. As mentioned above, there are chances that your home warranty company may not end up covering your replacements or repairs at all. Therefore, to ensure that you get the most of these cover, consider the following. Note that not all home warranties are equal. There are various clusters and categories of home warranties. Therefore, you should take your time to explore various companies before getting into a contract with one. Consider several factors, including the company’s reputation and the various levels of coverage offered. If the warranty comes with a home purchase, consider inquiring from a real estate agent. It happens that you have no heat in the dead of winter. Shouldn’t you call the furnace repair company first and sort out compensation later? Not at all. Home warranty does not cover repairs if you hire another expert first. Most companies offer 24/7 support. This means that they are available at any day, any time. Nevertheless, it can be tough if the company takes some time, say a week to send a technician. To enjoy the cover, you must ensure that you nail the details of the contract. This will come in handy when filing a claim. When making a claim, explain to the company exactly how your problem warrants coverage. For instance, say your warranty covers appliances and not plumbing. Your dishwasher blocked or failed and water damaged your kitchen floor, don’t call them explaining how flooding has damaged your kitchen floor. Instead, report that your warranty-covered dishwasher failed or malfunctioned which resulted in a damaged floor. Still with the scenario mentioned above, if the phone agent claims that your floor damage isn’t covered, get your contract to cite passages that will support your claim. If you feel the agent isn’t helping, request to be transferred to the manager. You can follow up by writing an email if your request is denied. On the other hand, if the company contacts the service provider for routine inspection before repair, be available and present for a visit. Ensure that you guide the service providers as they investigate the claim. A service provider contacted by the company often does warranty repair or replacement. Most companies have a specific service provider for various services. However, most clients may not be satisfied with the services provided by the company yet there is no option of choosing their preferred service providers. Therefore, before agreeing to allow any service provider work on the repairs, inquire if you can choose one of your own. Most home warranty companies send low-rated service providers to save on their cost. Search online for reviews about the company. If they are unsatisfactory, ask the company to have a better provider dispatched. In a bid to attract clients, some home warranty companies have changed their approach to making compensation. Initially, home warranty companies did not offer cash payment for repairs or replacement. Instead, they hired service providers and paid them directly. However, currently, some companies offer cash instead of replacing the appliance. Your cash repayment will be calculated based on your warranty contract. This can be disadvantageous, especially if the paid cash won’t cover your true replacement/repair cost. Once called, home warranty companies dispatch a service provider within your locality to your house. As mentioned, service providers often charge a service fee, regardless of whether they fixed anything or not. Therefore, it will be of no use calling them if you are certain that your appliance falls outside the coverage. Apart from what a home warranty covers, there are various frequently asked questions about home warranty. Below are some of these questions with their responses. I have homeowners insurance. How is Choice Home Warranty different? 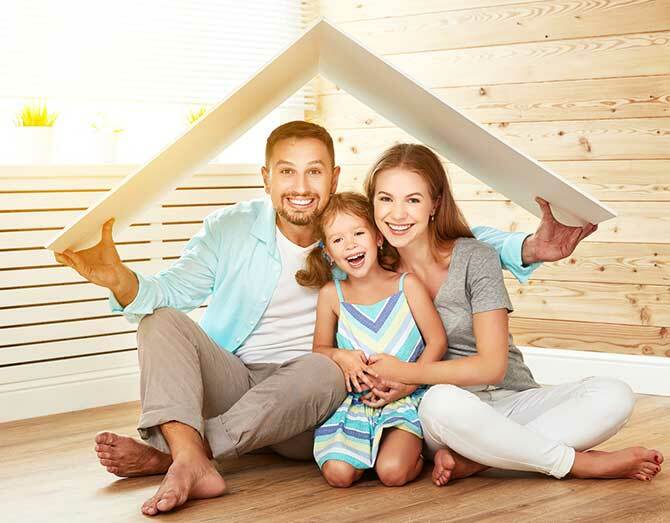 Unlike your homeowner’s insurance cover, Choice home warranty is a service contract that covers various applications and home system components when they break down as a result of normal wear and tear. This is a perfect complement to your standard insurance, but not a replacement for it. How is this different from manufacturer warranty? For new homes, manufacturer warranty cover for failed parts and not repair and installation after the expiry of the warranty. Unlike manufacturer warranty, home warranty provides peace of mind by covering both parts and labor. Besides, the cost of individual manufacturer warranty can be quite expensive. On this end, all you have is one plan, low premium, and one number to call for all items. Most warranty companies provide a one-year cover. It is a 12-month contract that can always be renewed. Depending on the service provider, location and nature of your items, home warranties prices vary. They can run from some few dollars to several hundred dollars, especially if you include major appliances and home systems. Do I need a home inspection before enrolling? No. with Choice Home Warranty, you don’t require a home inspection to enroll for a home warranty cover. However, you should ascertain that the covered items are properly installed, exceptionally maintained and are in a good working condition at the time of applying for the cover. Note that pre-existing conditions are not covered under warranty. What happens if I sell my house with a warranty still in effect? If you happen to sell your house while still under the cover, the remaining coverage will be transferred to a new buyer at no additional cost. Therefore, the buyer will enjoy cover for the remaining period left on the contract. The buyer will also have an option of renewing the contract at the end of the original contract. How does a home warranty help when selling my home? If you need to sell your home, having a home warranty could be possibly an excellent way to entice buyers. It signifies a good faith to the buyers that various home appliances and components are covered for their first year of ownership. Putting the tips outlined above in good use comes in handy in avoiding hefty repair costs. Choice home warranty is of great benefits for both homebuyers and sellers. For buyers, it provides them with an assurance that they are moving into a house without worries of shelling out more for unexpected repairs. For sellers, this warranty provides cover for various house appliances and equipment during the listed period. For totally new houses, most people may find it not worthy to take the warranty. This is simply because most appliances are under manufacturers cover. However, for old homes, having this is prudent. Note that the older your home is, the greater the odds of encountering frequent repairs. This can be costly or disrupt your financial plans are they are unexpected. In such cases, having a home warranty is prudent. Be certain that you understand what the home warranty covers before committing to a contract.